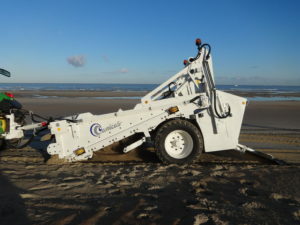 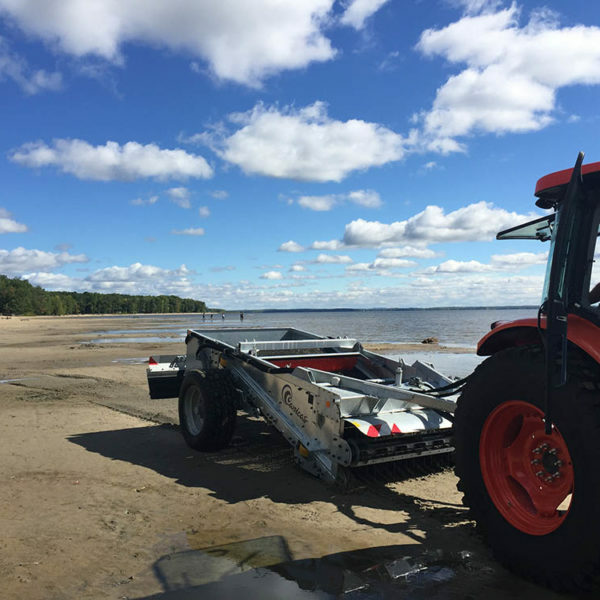 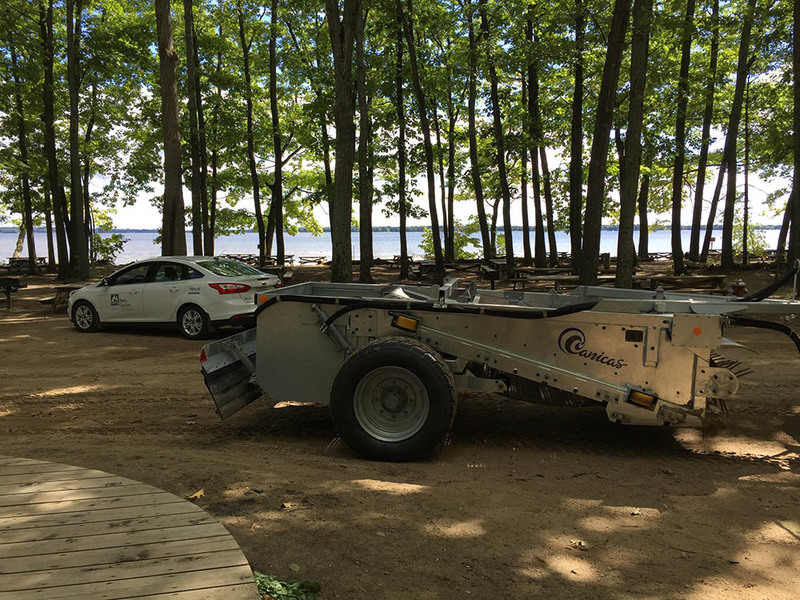 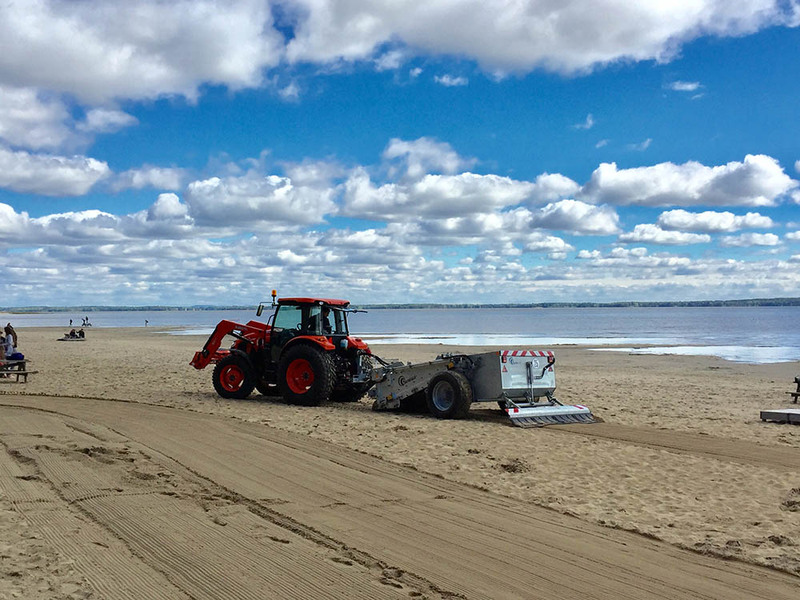 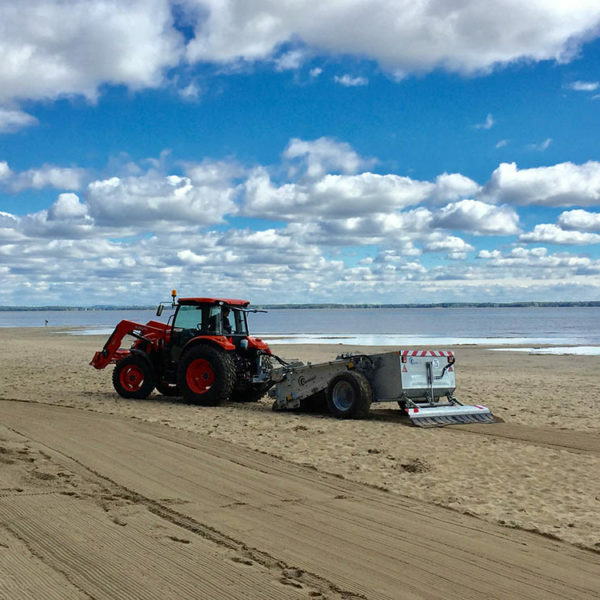 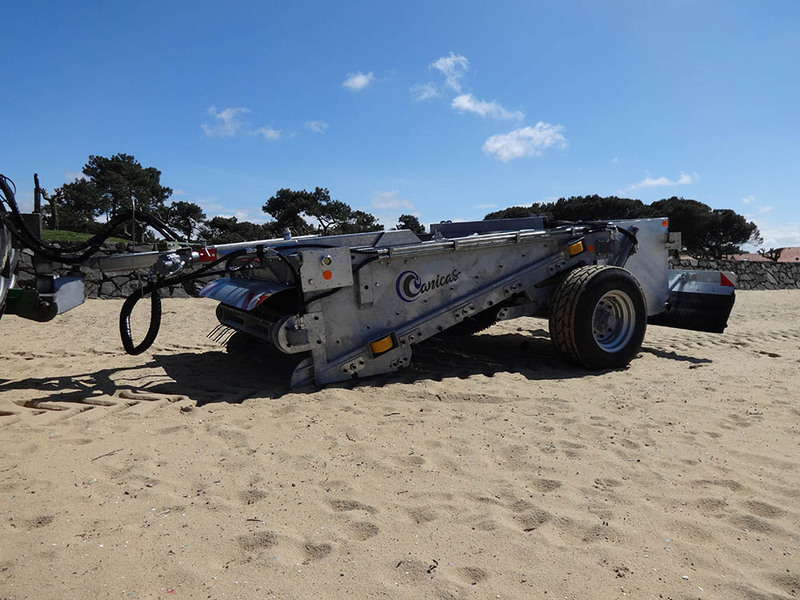 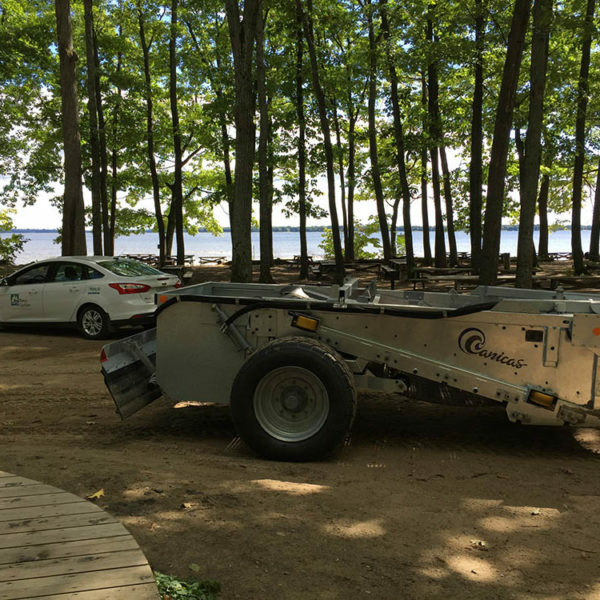 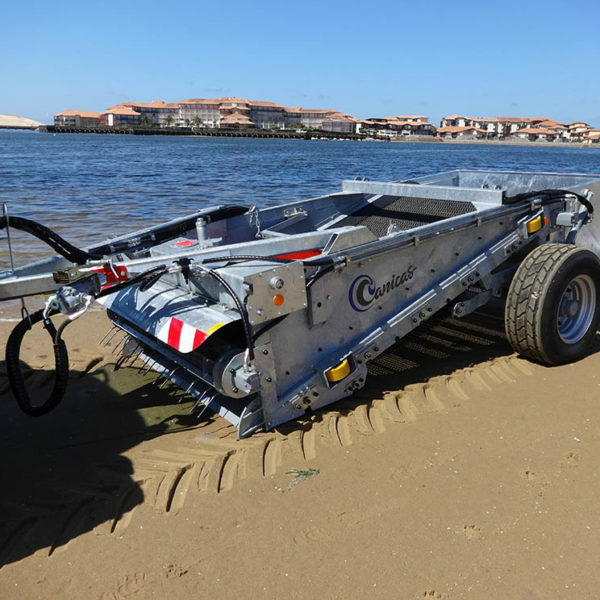 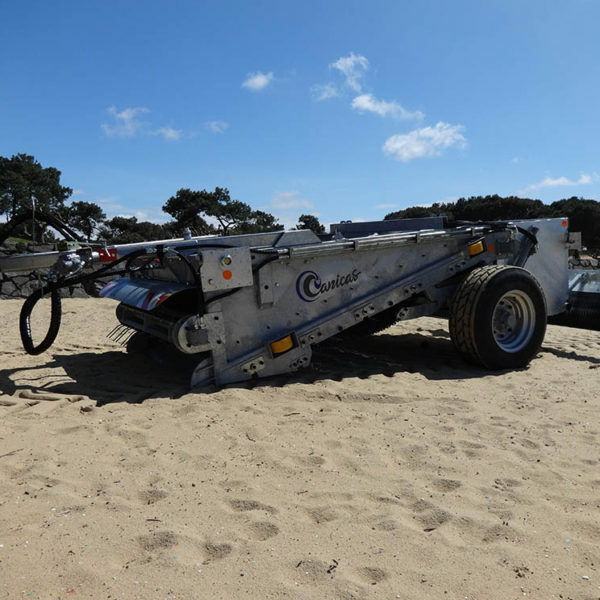 With the T 170VS screener, infrastructures and access to beaches (Sunshades, gantries…) are no longer a problem. 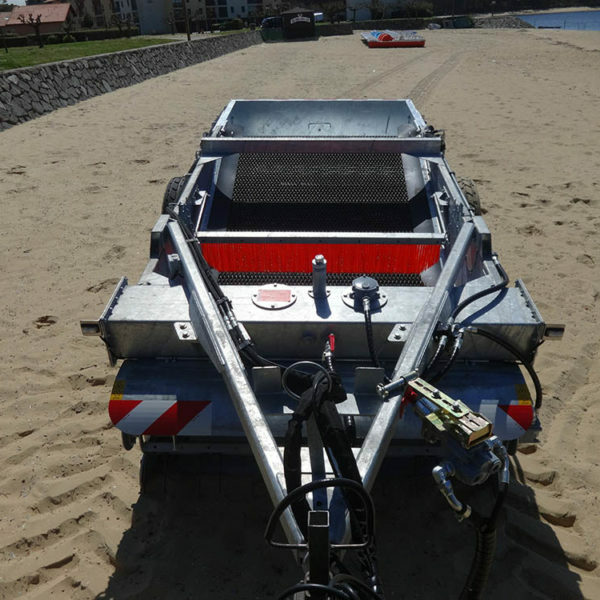 With a height overall lower than 1 400 mm (55’), this model allows to intervene whatever are the arrangements or the accesses of beaches. 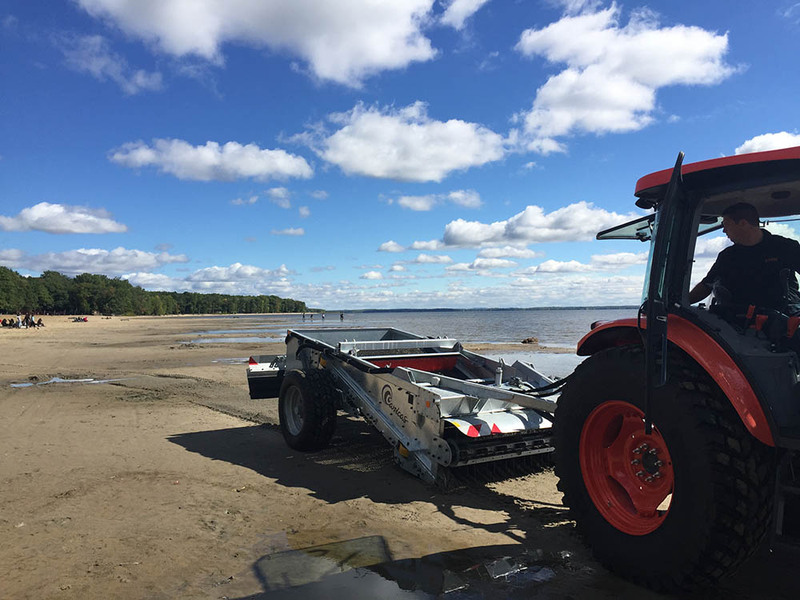 You will benefit from performances of the model T 170: surface Yield, working depth, capacity of tub …but also the best value for money on this segment of machine. 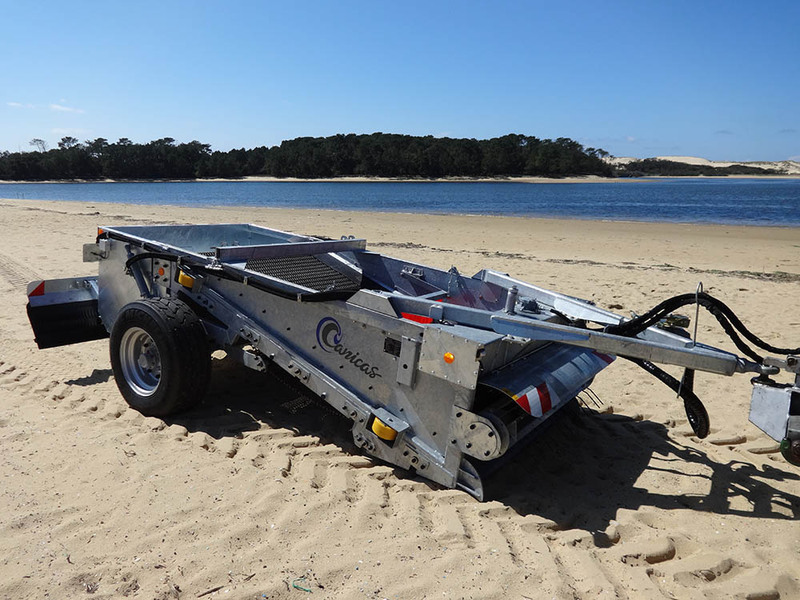 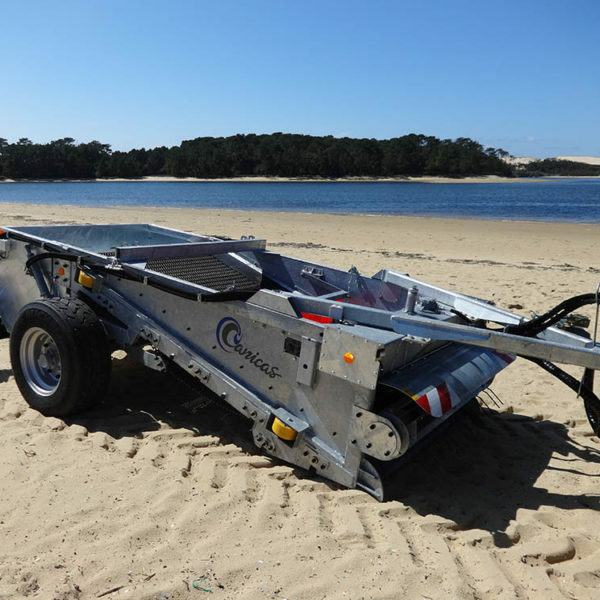 The T 170VS model is perfectly adapted to the large beaches of the leisure centers and also allows the many coastal tourist sites, very concerned about their budget, to guarantee an excellent quality of beaches in their tourist offer. 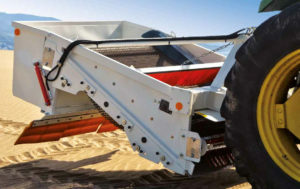 Faithful to the standards of manufacture and performance of the brand, the screener T 170VS perfectly completes our range. 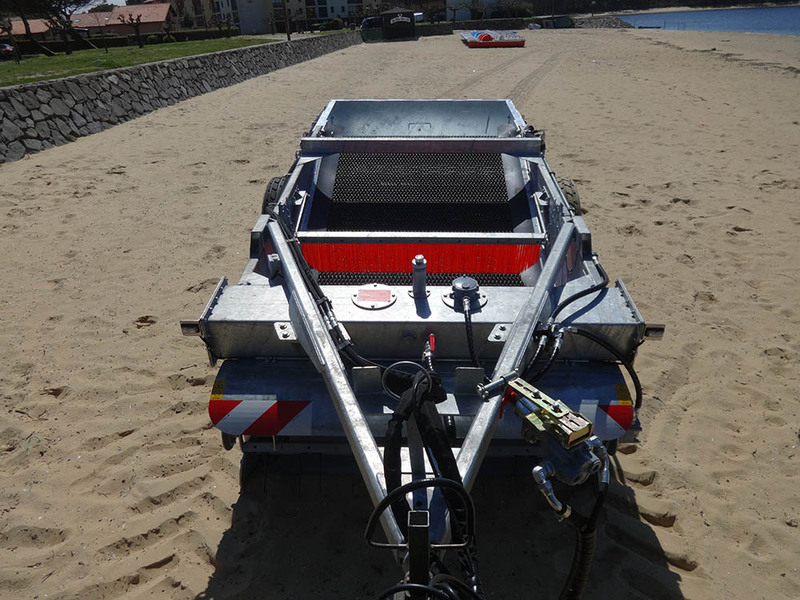 Hot dip galvanization by dipping the chassis and assembly parts for a perfect protection against corrosion. 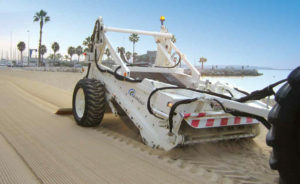 Dimensioned to the template of this model, the steels and the equipment of quality, will resist many years to the constraints of the work in the sand. 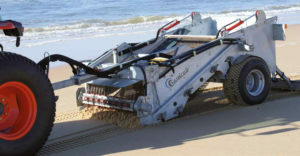 Maintenance is kept to a minimum. 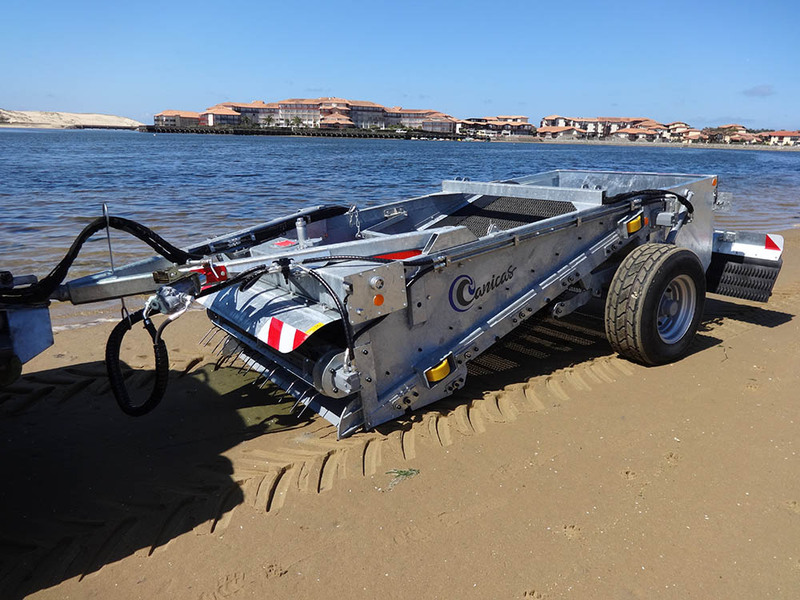 A powerful, simple, reliable and secure hydraulic system.